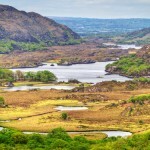 Ring of Kerry has a wealth of attractions to suit all ages and interests. The Carnegie Arts Centre was established in 2008 as a cultural centre for the people of South Kerry and the Beara Peninsula. Since its foundation in 1670, Kenmare – the “Jewel” in the ring of Kerry – has been a haven of artistic and cultural activity. The centre aims to foster the creative arts in the local community and to attract national and international arts performers to the splendid surrounds of Kenmare. 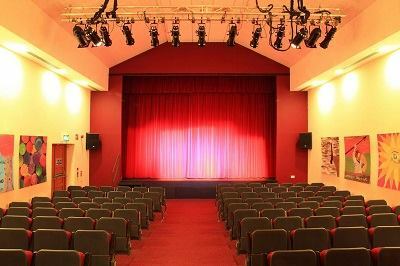 Carnegie Arts Centre is a multi-purpose building that has a 140-seat theatre, a full-size cinema screen, a performance area and a gallery space for art exhibitions. Technical features include high-quality stage lighting and sound system fully equipped for concerts, lectures, drama and exhibitions. It is also available for private hire. 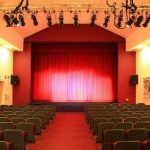 There is a varied list of events happening during the year and the Carnegie Players have performed many masterpieces to great acclaim. The aim in the Carnegie Arts Centre is to develop confidence, creativity and communication skills for all age groups in a fun-filled, safe environment where every individual is valued. Young people are encouraged to use their imagination and to develop all their talents while making new friends and learn social skills that will give them a life-long social edge. Opening Hours: New daytime opening hours starting in October are Thursday, Friday and Saturday from 10am to 5pm and for all events. Valentia Harbour Tours (VHT) invites you to join them on the ‘Boat on Wheels’ for an adventure! Get away from it all and land on beautiful Viking Beginish Island in sheltered Valentia Harbour Island. Hop to Valentia Island and have a coffee or a meal. Tommy, the boat owner, has a sheep farm on Beginish Island. There are lots of interesting things to see from the Monastic Church Island, Slate quarry, Lighthouse, 19th Century “undersea Internet” cables, and new Marina – not to mention the wildlife. Seals and seabirds are plentiful when tides/weather permit. This is an impressive coastal amphibious boat (with wheels). Valentia Harbour is protected from the Atlantic and seasickness is not a problem. Full toilet facilities. Licence by Department of Transport. Enjoyable for Young and Old. Good for mild rainy days too thanks to a roof that can close! With Valentia Harbour Tours, you will experience magnificent views of the area and the chance to walk along the seashore and imagine the different people who lived in the Viking house and on Church Island at a relaxing and enjoyable pace. 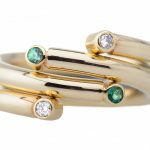 Master goldsmith and jewellery designer Paul F Kelly produces handcrafted originals at his workshop and retail outlet in Henry Street, Kenmare. He works in gold and silver, often combining both materials with precious or semi-precious stones, to create one of the most distinctive and inspiring jewellery collections in Ireland. Paul’s critically acclaimed work has featured in many publications and comprises primarily ‘one-off’ or limited edition pieces. In addition to his own collections, Paul frequently works with clients’ ideas to produce entirely unique commissioned pieces. 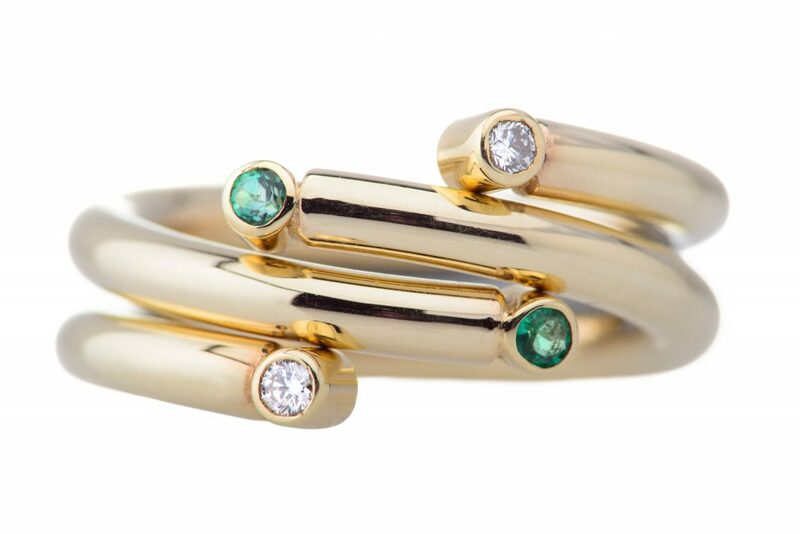 As part of a modern wave of Irish designers, Paul also displays the work of contemporary jewellers who share his commitment to quality in design. Those with an appreciation for such quality should visit his workshop and browse around one of the most inspired jewellery displays in Kerry. Paul is best known for his signature piece, The Ring of Kerry, named after the world famous tour. He works on-site and loves to answer questions about the historical context of his Ring of Kerry and his other work. A warm welcome awaits you at Skellig Gift Store located on the main Ring of Kerry road, just outside Waterville village. You are welcome to come and browse in spacious, friendly and picturesque surroundings. An opportunity not to be missed! 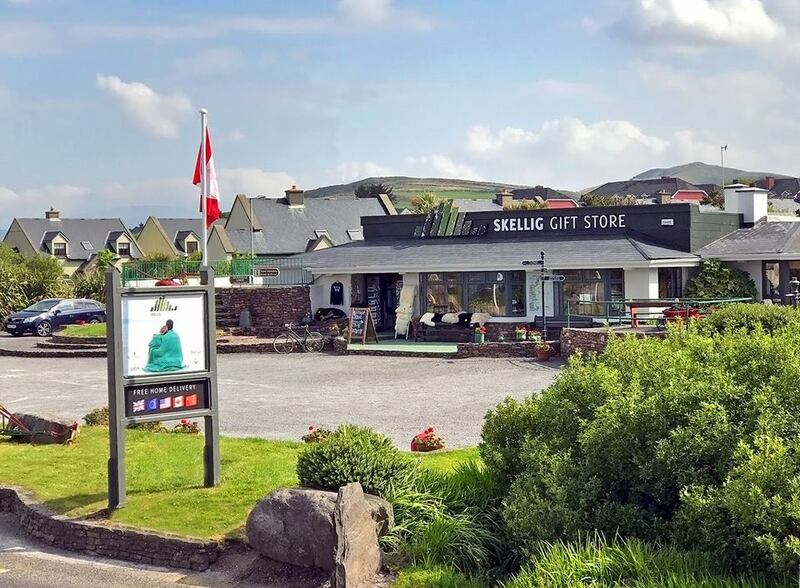 Skellig Gift Store was originally called the Waterville Craft Market after a group of Craft Workers from the Skellig Region came together to present their products exclusively in one place. This is now complemented by work from neighbouring counties, which is simply the best of Irish Craft and design. A special emphasis is still placed on Kerry Crafts and currently 50% of the suppliers are of Kerry origin. There are a variety of products to choose from and free worldwide delivery is available as well. The Waterville Craft Market had a long-established reputation as a destination store for visitors to Kerry and this will continue with the newly rebranded and named Skellig Gift Store. 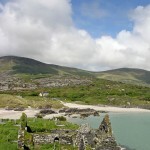 The ruins of Derrynane Abbey are located near the village of Caherdaniel in County Kerry. 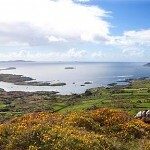 It is a beautifully scenic spot and well worth a stop off the Ring of Kerry route. 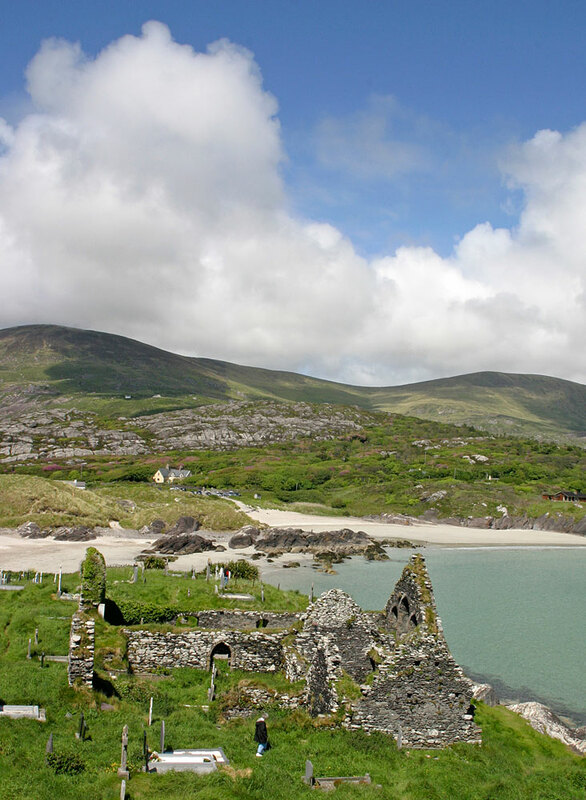 Derrynane Abbey was built on a monastic site founded by St. Finian, in the 6th century. Sadly, all that remains of the abbey are a Romanesque church and two other connected structures believed to be built in the 10th century. There is a small parking area nearby. 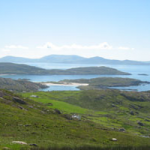 Directions by car: Travel around the Ring of Kerry from Kenmare to Killorglin on the N70. Just after Caherdaniel take a left turn and follow the road to the beach at the very end. 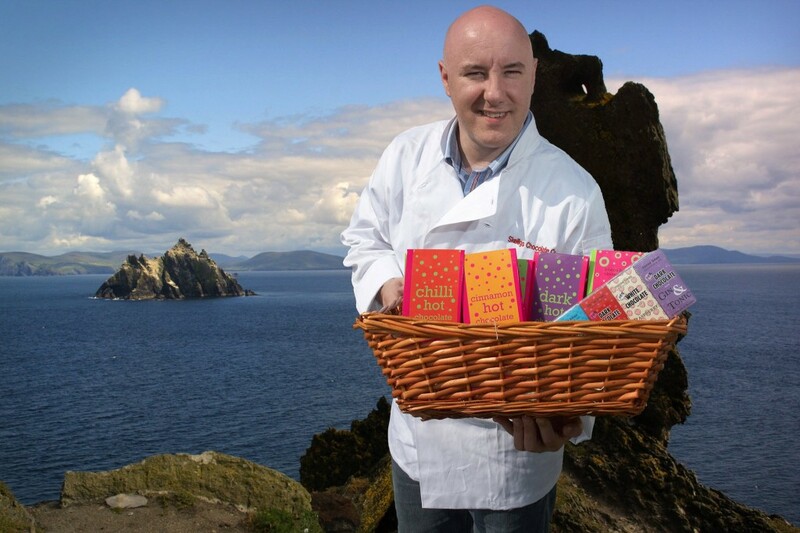 If you are thinking of visiting Skelligs Chocolate for the first time then please be aware we are NOT a massive chocolate factory like some of the huge commercial chocolate makers you may have seen on tv. We are a family run business with an open plan production where you can see the chocolates being made, ask questions and taste the freshly made treats, but we do have a fantastic new mural based on the Willy Wonka factory. 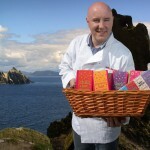 Skelligs Chocolate produce a vast range of chocolate products including truffles, bars, tablets and fudge which combine traditional methods and contemporary flavours and designs. Our multi award winning company also offers courses in chocolate making for kids, beginners and adults. Also, there is no specific ‘tour’ (and therefore no entrance charge) – we are a friendly and welcoming business located in a truly stunning location overlooking the Skelligs Rocks. We are fortunate to have St. Finians Bay beside us (100m) where you can surf and a further 100m brings you to the new children’s playground in The Glen. As part of a trip around the Ring of Kerry, this is a perfect stop and as we are only an hour from Tralee or Killarney you can easily fit us in as something to do in Kerry. We have a coffee shop on site that serves tea, coffee and our own special Hot Chocolates, a selection of home made cakes and desserts. We do not do any lunch type food – this is strictly a treats only cafe and opening hours vary. 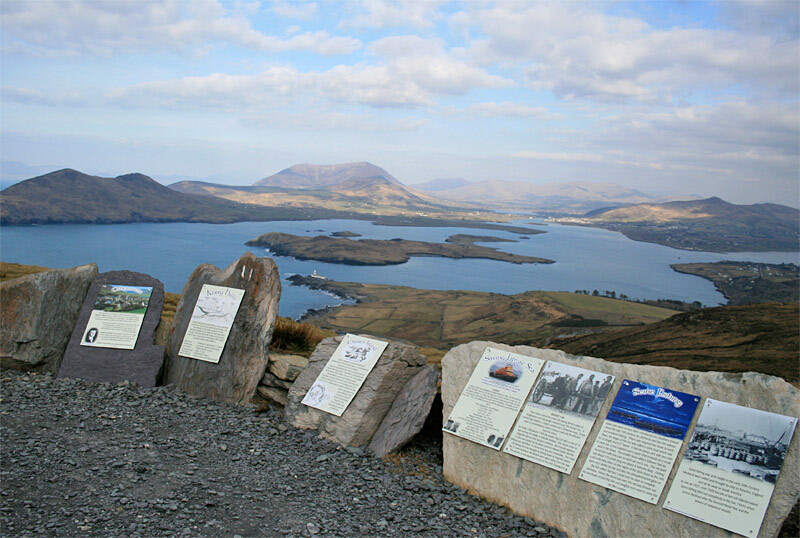 Coomakista Pass is over 215 metres (700ft) above the sea and offers stunning panoramic views over Kenmare River, Abbey Island, Deenish Island and Scariff Island. There are also views of Waterville village and an ancient Iron Age stone fort. There are good parking facilities nearby. 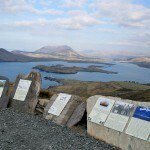 It is an incredible place to stop and drink in the views and must be one of the most photographed locations in Ireland. Coomakista Pass descends into the village of Caherdaniel which is full of character and atmosphere and stands on the shore of Derrynane Bay. 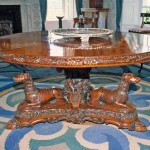 It is also home to the Great “Liberator” Daniel O’Connell, Derrynane House & National Park is a visit not to be missed. 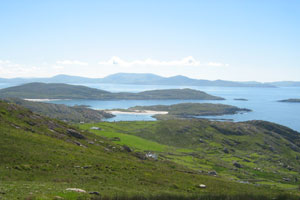 It is an excellent area for a scenic drive on the Ring of Kerry or for a walk through the remarkable landscapes. On the rock at the top of the sea cliffs on Valentia Island is a fossil trackway. The Tetrapod Footprints are a series of tracks made by a crocodile-like creature that took a huge evolutionary step by being the first creature to come out of the ocean and walk on land. Mammals, reptiles and birds are all said to have descended from it. The tetrapod is thought to have walked on soft sediment 385 million years ago when Ireland was south of the Equator and joined to North America. 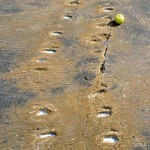 The footprints are now preserved in the rock as shallow impressions. The Tetrapod Footprints are important scientifically as they are the first fossil record of an amphibian animal. 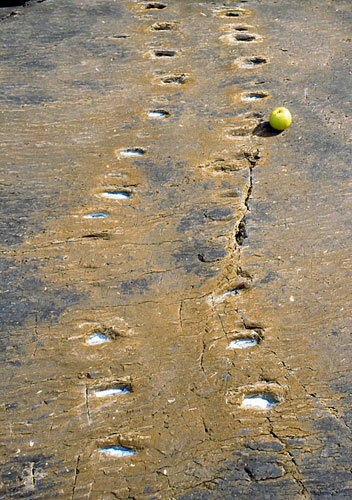 The Valentia Island Tetrapod Footprints are the most extensive of the four Devonian trackways in the world. (The others are in Tarbet Ness, Scotland; Genoa River, NSW Australia and Glen Isla, Victoria Australia). Due to the natural constraints of the terrain, and the steepness of the slopes, the path to the Tetrapod Footprints is not recommended for wheelchair access for for those with restricted mobility. Directions by car: From Cahersiveen follow the Ring of Kerry route N70. Turn right onto Valentia View and you’ll see Seaside Garden Centre. Follow this until you come to Knightstown Ferry. Once on Valentia Island, turn right onto R565 and head towards the Tourist Information Centre which will be able to guide you in more detail. The trackway is next to the old Lighthouse Cafe on the island. Skellig Island Tours with Casey Boats offers an excellent way to see the beautiful Skellig Islands. We operate two fast boats to the Skelligs Rock, the KenBrencent and the Skelligs Crest. Both are fully Licenced and Department of the Marine approved. The magnificent Skellig Islands lie 8 miles (12 km) off the coast of Portmagee in South West Kerry. 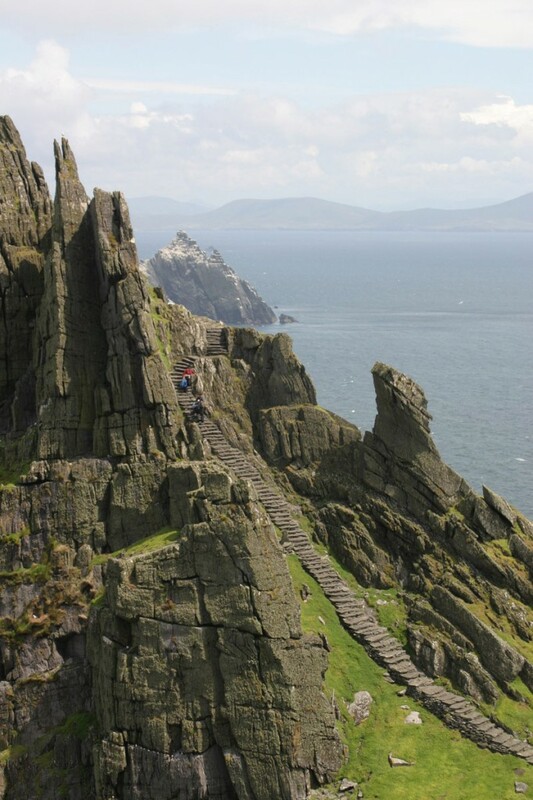 Rising majestically from the sea, Skellig Michael towers 714ft. (218 metres) above sea level. On the summit of this awe-inspiring rock you will find a remarkably well preserved sixth century monastic settlement. On the spectacular Small Skelligs 23,000 pairs of gannet nest on every available ledge making it the second largest gannet colony in the world. A visit to this major tourist attraction may well be the highlight of your holiday. Skellig Island Tours boat departs daily from Portmagee marina at approximately 10:00am, weather permitting. The boat trip to the Skelligs takes 45 minutes and you have between 2 hours and 2 hours 30 minutes on the rock. The boat stops for a while at the Little Skelligs to allow you to view the bird colony and seals. The return boat trip lasts a further 45 minutes and you are back in Portmagee at around 3 o’ clock. It is advisable to book at least 2 days in advance. 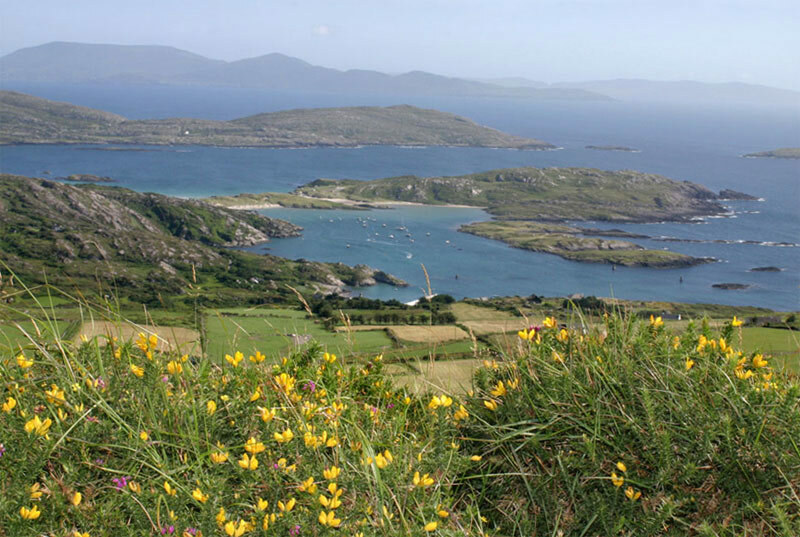 With Irish tourist board qualified tour guides, Finnegan’s Tours provide tours of the Ring of Kerry, Ring of Beara, Glengariff/Garnish Island, tours and trips for individuals or groups of all sizes. They also cater for hill walkers, groups of landscape artists, historical/archaeological groups, as well as providing airport and luggage transfers, local taxis and wheelchair accessible taxis. 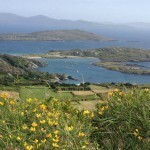 Tour days: Ring of Kerry Monday/Wednesday/Friday, Ring of Beara Tuesday, Glengariff/Garnish Island Thursday. Tours leave from outside Kenmare tourist office at 10am. All tours are subject to numbers. Phone bookings can be made any time up to 9pm the previous night. Email bookings must be made at least 3 days in advance. At Finnegan’s Tours we know all the best spots in Kerry for taking truly beautiful photos, and we’ll make sure you get the chance to capture the beauty too! At Dromquinna Stables, we have over 60 years of experience in training and schooling of horses and ponies to riding and driving to showing standard – also reschooling of “problem” horses. We are located 5km from Kenmare on the Sneem Road (N70). Dromquinna Stables offers: Beginner and advanced lessons for children and adults, Flatwork and Jumping lessons and Stable management lessons for rainy days in the dry. We also take great care and welcome people who are very nervous around horses. Our arena is also fully lit and has an all weather surface, so lessons can be held at any time of the day (or year). We specialise in training horses and ponies for riding an driving to showing standard. Part of the training for riding is basic dressage and basic show jumping and hacking out quietly in traffic. Part of the training for the driving is obstacle management and driving out along the road. We also cater for Weddings or similar events with a horse and carriage to make it a day to remember. Full livery for horses and ponies. Selection of registered and unregistered pony and cob stallions at stud (starting at 33 inches high). 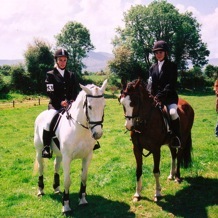 We also have well schooled horses and ponies to fit all sizes of people and levels of experience. Treks, camps and carriages are also available. Horse and carriage available for weddings. One to four hours to beach, woodland sea and mountain for beginners and experienced persons. Pony camps at Easter and Halloween. Additonally, we offer: Riding-hats and boots supplied – Western saddles on request, Turn-out of horses and ponies for shows and competitions (we can easily travel with you) and Stallions & livery for private horses. Ladies View is about 12 miles from Killarney on the N71 road as you go towards Kenmare. If you walk up the road from the traditional viewing point, there is another parking area and a path that leads to a wonderful view of the upper lake. It is also part of the Killarney National Park and has been a major stopping point for tourists for many years. You can enjoy a delicious meal at the Ladies View Industries Cafe which is located at the traditional viewing point area and also includes a gift shop and bar. Possibly dating from c. 1,400 BC, Kenmare Stone Circle is one the largest stone circles in this part of Ireland. 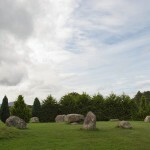 It is the only egg-shaped stone circle in Munster, measuring 17.4 x 15.8m. It lies in the town of Kenmare not far from the Cromwell Bridge, in County Kerry. 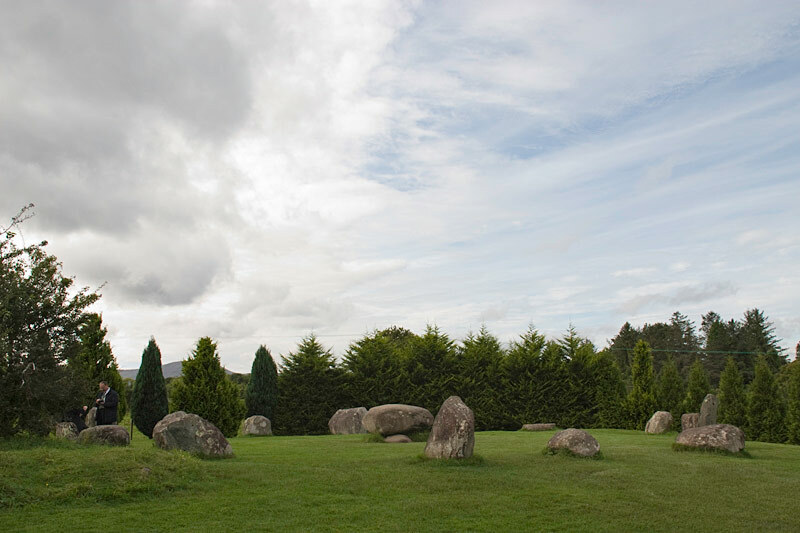 Known locally as ‘the Shruberries,’ the Kenmare Stone Circle is composed of 15 sizeable boulders, with 13 standing upright and two lying flat at the north. At the centre there is an impressive burial boulder with a giant capstone measuring two metres long, 1.8m wide and 0.8m thick. The weight of this capstone must be almost seven tons and at least 30 labourers would have been needed to drag it into position. Irish stone circles tend to be orientated in line with the sun and were probably used for ceremonial purposes. Kenmare Lace is a needlepoint Irish Lace. It is made with a needle and thread and is based on the detached buttonhole stitch. After the Great Famine (1845-’49) left 5,000 dead and 30,000 destitute in Kenmare, the Poor Clare nuns came there in 1861 and set up lacemaking workshops for the young women of the town. This was a skill with which to earn a living. Their work received international acclaim. Kenmare Lace is still made today at the Design Centre where you can learn about the history of this unique industry, see daily demonstrations, buy lacemaking materials or purchase a unique gift. 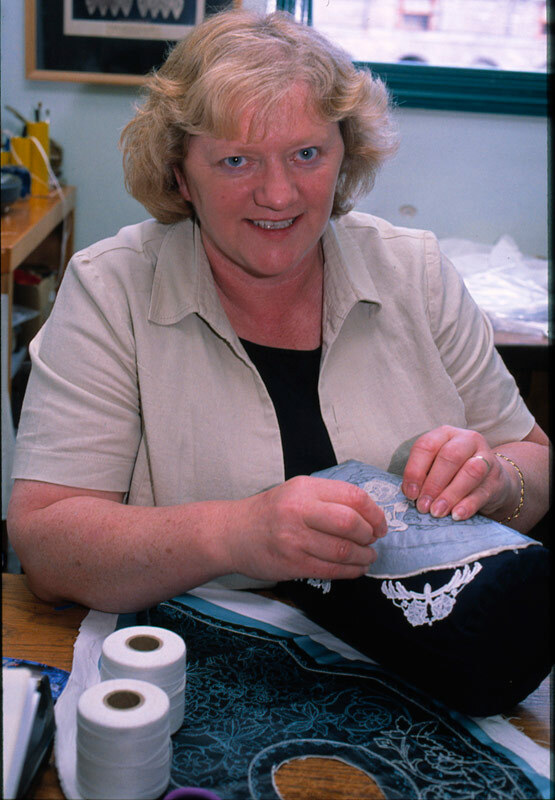 There is a yearly Kenmare Lace Festival to celebrate the talented works of art as well. Opening hours: Monday to Saturday 10.15pm – 1.00pm and 2.15 – 5.30pm, Easter to Mid October. Winter opening times vary so please ring ahead of time. At Bonane Heritage Park you will travel through 5,000 years of history as you stroll around the grounds of this well maintained historic park. See a stone circle, ring fort, pre-Great Famine (1845-’49) house and more. There are several archaeological treasures all of which are accessible along 2000 metres of gravelled walkway. 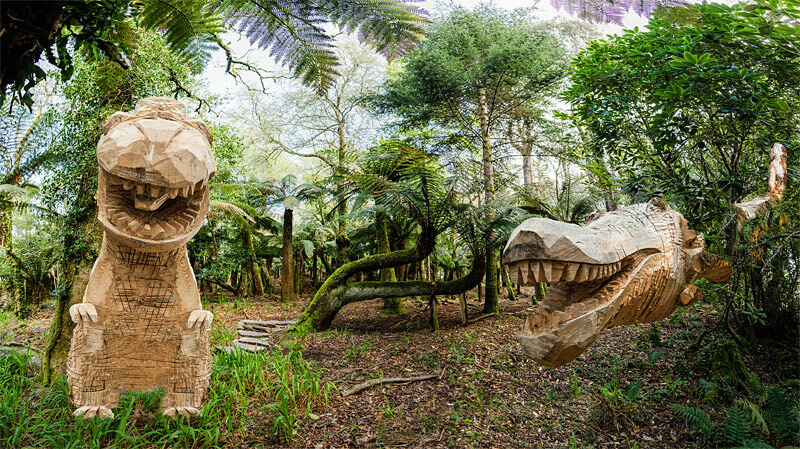 The park is open all year round and you can visit at any time during daylight hours. Entry fees are Adults €4 each and a Family Ticket €10. The Bonane Heritage Park is owned by the Community of Bonane and is a not for profit venture, so please, if there is no-one in attendance, leave your donation in the ‘honesty box’ near the rear door. *Please note: the start of the walk is quite steep so a reasonable level of fitness is required and due to Health and Safety, we are unable to allow vehicles beyond the entrance or offer transport to the sites. 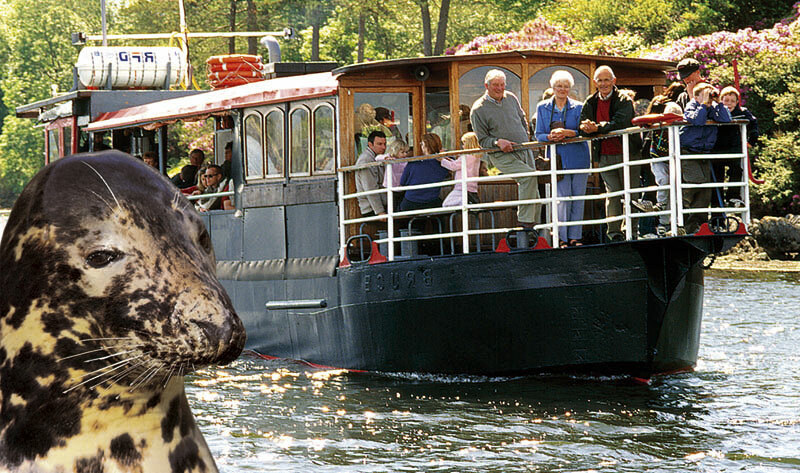 Seafari Cruises offers a fun, eco-nature and seal-watching two-hour cruise in Kenmare Bay. Full and half-day charters are available. Free use of binoculars, charts and books. Informative and humorous guides, Irish traditional music and song, face painting and puppet shows for children. Free sweets, tea/coffee and snacks on board. No seasickness guaranteed! The cruises are also wheelchair accessible. Seafari Cruises invite you to explore the prolific wildlife of Kenmare Bay on Ireland’s premier seal-watching and eco-nature boat trip. You will travel to one of the largest seal colonies in Ireland with over 300 of these beautiful creatures. 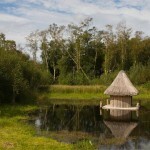 Look out for secret castles and playful otters as well as a wealth of bird-life along the way. Seafari’s knowledgeable Captain and informative guides will show you the historical sites and explain how the ice age has shaped this beautiful bay. 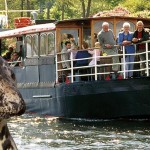 Seafari Seal and Eagle watching cruises are the most popular tours in Kenmare. Hop aboard to explore the naturally beautiful paradise that is the Kenmare Bay. We invite you to join us for an unforgettable and memorable holiday experience! Seafari Cruises, the original and still the best! 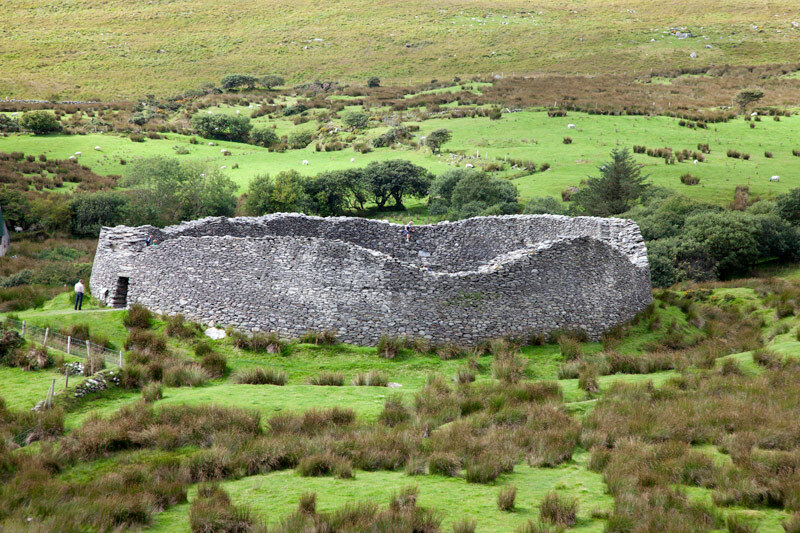 Three miles from Sneem near Castlecove and Caherdaniel, you find Staigue Fort (Cathair Na Stéige), one of the largest and finest ring forts you are likely to see in Ireland. It stands on a low hill in an amphitheatre of rugged hills open to the sea on the south. The wall is up to 5 m high, 4m thick and 27.4m in diameter. Inside the wall are two small. The interior of the fort is reached through a 1.8m passage roofed with double lintels. The fort is surrounded by a large bank and ditch, to be seen on the north side. Staigue Fort shows impressive skills in building. No mortar was used and the stones are not dressed. The dating is difficult but it may have been built during the Celtic period, probably around the first century BC. There is evidence that copper was excavated in the surrounding area and appears to be a place of worship, an observatory and a place of defence. It’s the finest example of a stone fort in Kerry. Well worth the short detour from the Ring of Kerry route at Castlecove (see Cahergeal Fort also). 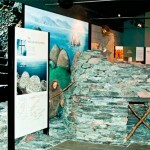 The exhibition centre uses a exciting way to portray the story of the fort. A video presentation which will appeal to young and old alike, develops the theory as well as the ancient Irish folklore which has been associated with the fort for centuries. Eclipse Ireland are Outdoor Adventure and Activity Specialists with a proven track record of excellence. The Eclipse Adventure Centre is set in the heart of the lush and rugged Irish countryside located along the Ring of Kerry, amidst stunning scenery of the McGillicuddy Reeks and nestled between the colourful and cultural towns of Kenmare, Sneem and Killarney in the South West of Ireland. 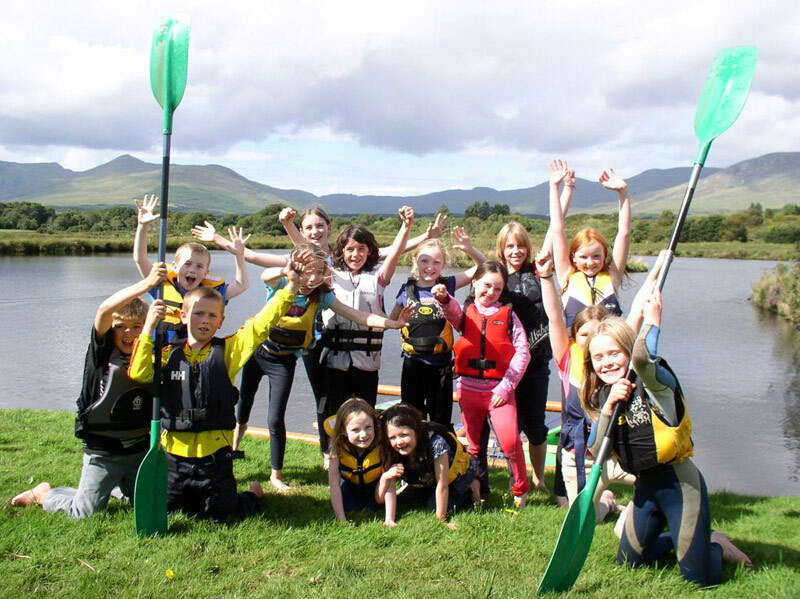 Eclipse Adventure Centre at Blackwater outside Kenmare town has a great variety of activities for young and old. Choose from horse riding, fishing, archery, quad/mud surfing, kayaking, coasteering & gorge walking, cycling, orienteering, Military assault course or even laughter yoga. 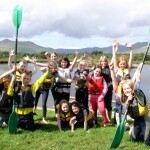 Activity camps for kids including Adventure and Activity and Pony Camps. We welcome groups and cater for corporate team building days, hen/stag parties and schools and clubs as well. Self-catering accommodation is also available onsite. Derrynane National Park, consisting of plantations and garden walks were laid out in the 18th and 19th Centuries, principally north and west of the house. 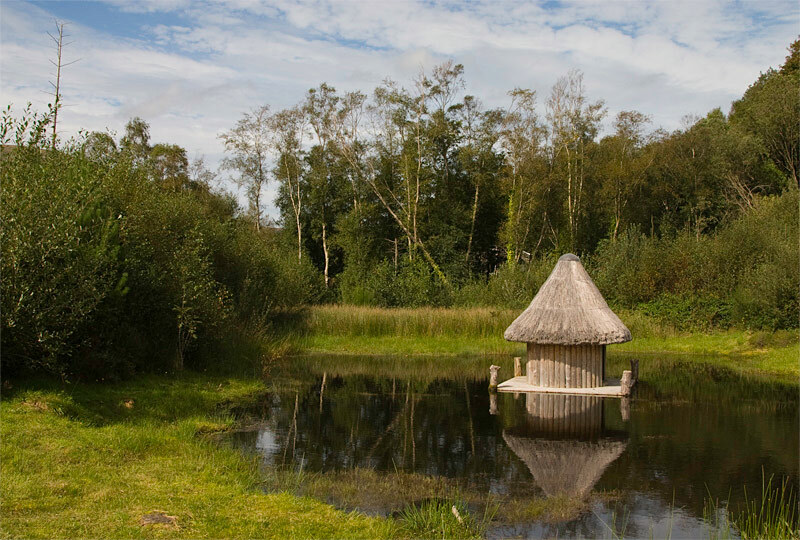 Some features of the demesne are strongly associated with Daniel O’Connell, including the old summer house. The Derrynane Dunes Nature Trail is a great walk and you will see many interesting things. Being a National Park, there are marvellous displays of wild flowers here – some of which are quite rare. Look out also for Natterjack Toads, rare in Ireland but a resident of the dune ponds here. The Derrynane Dunes Nature Trail is a wonderful walk across Derrynane Beach and the National Park with all the flora and fauna and sand dunes of the seashore around you. As you stroll along the paths, be on the lookout for the Mass Rock and Smugglers viewing point which offers great scenery. There’s even a Fairy Trail – a treat for younger members of the family. Follow the trail and say “Hello” to the fairies! Trail booklet available at Derrynane House nearby. Attached to Derrynane House and part of Derrynane National Park, the Derrynane Gardens are delightful. There are some very exotic species, including those of the rain forests of South America. The main area of the gardens, set inland and to the north of the house, can be reached through a tunnel under the road. 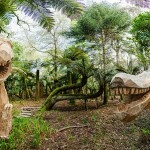 The sub-tropical Derrynane Gardens are wonderful and take advantage of the mild climate influenced by the Gulf Stream. Given the magical surroundings, it is no surprise that there is even a Fairy Trail with many unique ‘houses’ hidden around the area. A real treat for younger members of the family. See if you can spot any and say “Hello” to the fairies! Derrynane House is the ancestral home of one of Ireland’s most famous historical figures, Daniel O’Connell (1775-1847), lawyer, politician and statesman and known as “the greatest Irishman.” Situated on 120 hectares of parklands on the scenic Kerry coast, the House displays many relics of O’Connell’s life and career. The main street in Dublin, O’Connell Street is called after him. 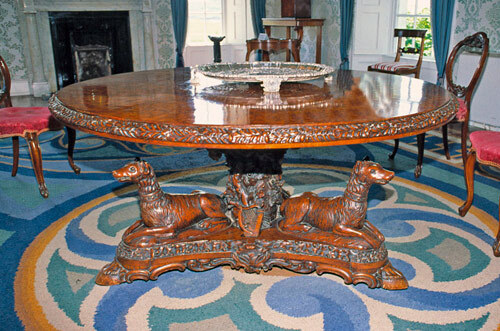 Now a museum, Derrynane House holds many of O’Connell’s personal belongings and the marvellous gifts bestowed on him. There is an excellent accompanying audio-visual presentation and an outdoor self-guided trail. Cafe on site as well open from Easter Weekend to end of September. Universal access for visitors with disabilities. 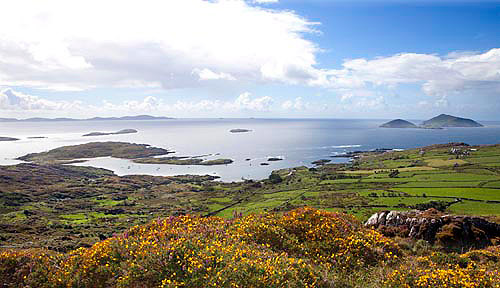 You can take in the stunning views on the magnificent nature trails and through the lush gardens attached to the House and part of Derrynane National Park. 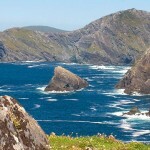 Geokaun Mountain & Fogher Cliffs is the highest point of Valentia Island! 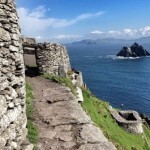 See spectacular 360 degree views, including The Skelligs, Dingle & The Blaskets, the mountains of Kerry, Portmagee, Fogher Cliffs, Valentia Island and the Atlantic and extends westward as far as the eye can see. You can walk or drive to the summit. There are 3 parking areas at intervals on the way up . So it is very accessible and enjoyable for everyone, from children to experienced hikers. There is an entrance fee to Geokaun Mountain & Fogher Cliffs of €5 per car/family OR €2 per pedestrian/cyclist. There is a viewing deck on the breathtaking Fogher Cliffs, you might get lucky and see some wild goats! While you’re here, you can enjoy your lunch at one of the picnic tables at various locations on the mountain. Also, there are 50 information panels en route on the mythology, history, fauna and geography of the region. The Skelligs Experience attraction centre was developed by Cork Kerry Tourism in 1991-1992 to make the four treasures of the off shore Skellig Islands more easily understood by all. The exhibition building is a purpose built visitor centre designed to be rugged in feeling and finishes, to reflect the experience which will be undertaken by visitors. The exhibition has four themes: The History and archaeology of Skellig Michaels Early Christian monastery, The Sea Birds, their habitat, their world wide travels, The Lighthouses which have given 161 years of service to mariners and The Underwater Skellig, which has colour and magic equal to any sea in the world. The Exhibition Centre has an 80 seat auditorium where a 14 minute film presentation, “An Island On The Edge Of The World,” which takes visitors to the magical place Skellig Michael. 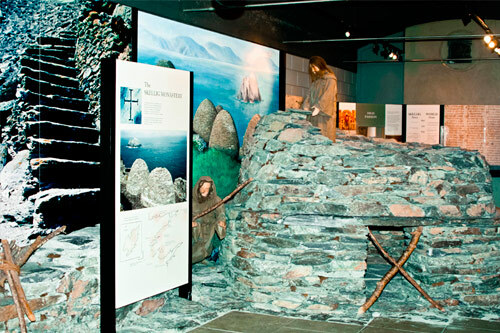 The Skelligs Experience has excellent audio-visual presentations and displays and includes a restuarant with sea views and craft shop. Admission rates: Adult €5, Child €3, Seniors/Students €4 and Family €14. See website for pricing for combined exhibition and cruise rates. The magnificent Skellig Islands lie 8 miles (12 km) off the coast of Portmagee in South West Kerry. Rising majestically from the sea, Skellig Michael towers 714ft. (218 metres) above sea level. On the summit of this awe-inspiring rock you will find a remarkably well preserved sixth century monastic settlement. On the spectacular Small Skelligs, 23,000 pairs of gannet nest on every available ledge making it the second largest gannet colony in the world. A visit to this major tourist attraction may well be the highlight of your holiday. 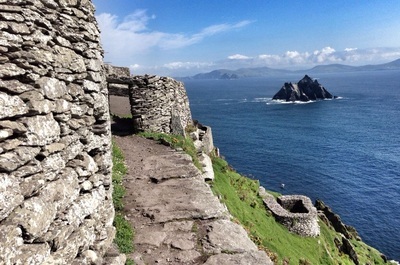 Skellig Michael is one of only three UNESCO World Heritage sites in Ireland. In the sixth century monks built a monastic settlement 600 feet (182 m) up on this rock eight miles off the Kerry coast. Skellig Michael is an outstanding, and in many respects unique, example of an early religious settlement deliberately sited on a pyramidal rock in the ocean, preserved because of a remarkable environment. It illustrates, as no other site can, the extremes of a Christian monasticism characterizing much of North Africa, the Near East and Europe. Ferries available from Ballinskelligs and Portmagee as well as smaller boat trips for hire. It has recently been featured in the very popular film franchise Star Wars: Episode VII due for release next year! Skellig Michael is a heritage site not to be missed! Kerry Cliffs in Portmagee are Kerry’s most spectacular cliffs. They are a mere 10-minute walk from Blasket View House on the Skellig Ring road, just one mile from Portmagee. 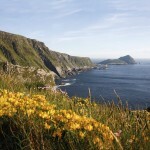 Kerry Cliffs is a family run tourist attraction that have been a viewing point for generations. Visitors are assured a secured and safe walkway to the Cliffs. 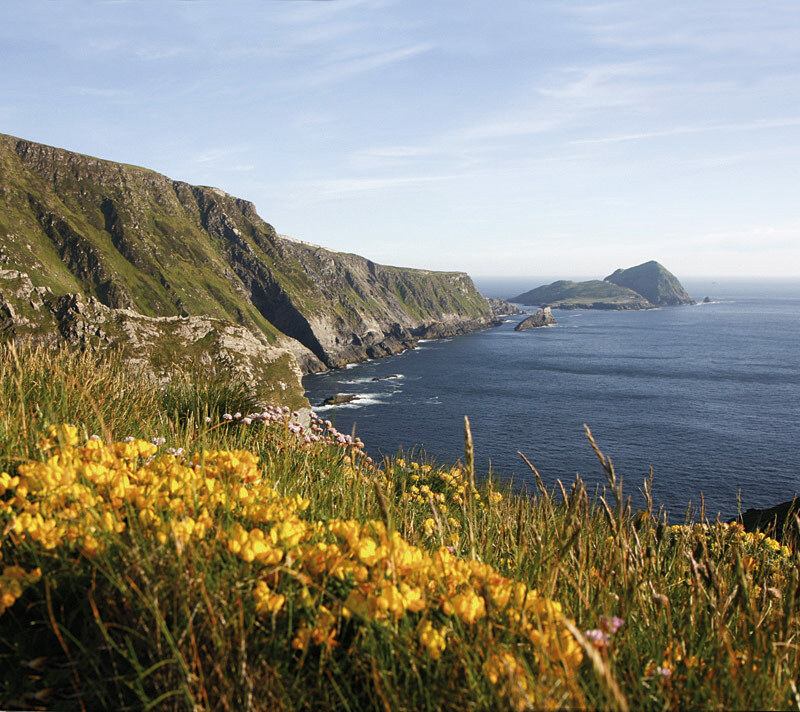 The 300m (984ft) cliffs, formed in a desert environment 400 million years ago, offer fine views of the Blasket Islands and are the nearest viewing point of the Skellig Rocks and Puffin Island. Twitchers come here to observe the thriving colonies of cliff birds. Here too are replica stone beehive huts, similar to those on Skellig Michael. For good measure, you can relax in the indoor/outdoor coffee shop while drinking in the marvellous panorama. Allow a minimum of 1 hour for a visit to the Kerry Cliffs, many visitors spend a few hours relaxing and bird watching for many hours and even return the next day or another day during their vacation. 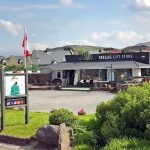 It is recommended to stay overnight in the local village of Portmagee (Irelands top tourist town 2012) to make the most of your visit; to enjoy the local culture and traditional Irish music. 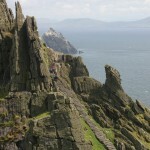 Also, we would highly recommend you take a cruise to Skellig Michael which we can arrange for you. There is a small fee of €4 per person at the Cliffs. 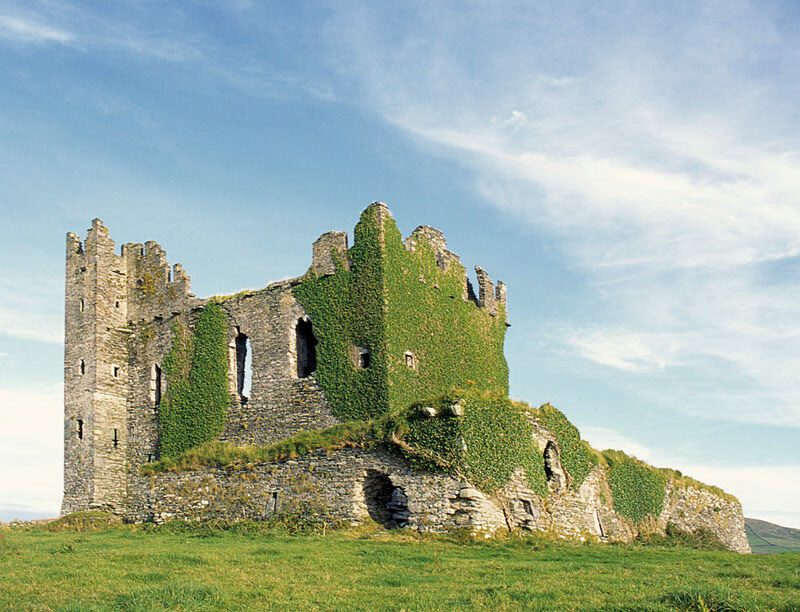 Ballycarbery Castle was said to have been built in the 15th century by Carbery O’Shea. It was built on a slight eminence on the tidal estuary of the river Ferta, just east of Valentia Harbour and near Cahersiveen. Originally, the main castle was very sizable and consisted of a main hall house and projecting tower. The walls were over 9 ft thick. 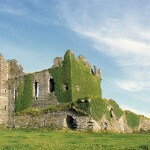 There is an interesting history of how the Ballycarbery Castle came to belong to the McCarthy family. McCarthy Mór brought the O’Shea’s to task and installed a family of the Clan O’Connell under Morgan Dubh as constables. These O’Connells were the ancestors of Daniel O’Connell. There is a legend that indicates how independent these constables could be. When McCarthy Mór sent a cradle to the O’Connells indicating they were to take in a fostering child, the O’Connells returned the messenger’s head in the cradle; indicating their answer. McCarthy Mór was so incensed at this action, he arrived with a large army, took the castle and hanged Morgan Dubh from the highest window. It is reputed that on a certain night of the year, Morgan’s screams can be heard echoing around the castle walls. In 1652, it was attacked by cannon-fire from English forces during the Cromwellian invasion. Kells Bay is one of Ireland’s most spectacular settings, and the scenery offers a wonderful backdrop to Kells Bay Gardens. Known locally as the ‘Jewel on the Ring,’ the Gardens cover just over 17 hectares, containing a large collection of sub-tropical plants. The Gardens overlook the dramatic views of Dingle Bay, and are filled with a variety of sub-tropical plants. These magnificent sub-tropical gardens date back over 160 years. The spectacular waterfall at the entrance gives the impression of entering Jurassic Park and indeed there is a special Dinosaur Park complete with huge statues. There is so much to see on the 3 kms of walkways; palm and succulent garden, ladies walled garden, bamboo glade, cliff walk, bog walk, grasslands and river walkway. Tea Rooms/Cafe, Garden Centre and Self-Catering Accommodation on site. Entrance rates: Adults €6.50, Children €5.00, Family €20 (2 Adults, 2 Children). Discounts for groups over 20. Cahergeal Fort is one of two magnificent forts at Cahersiveen (see also Leacanabuaile). ‘Caher’ usually refers to a stone fort (‘Liss’ for earthen-banked forts). Located close to Ballycarbery Castle, it is thought that the three sites are connected by underground passages. 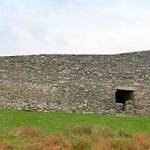 Cahergeal Fort was probably the homestead of petty kings or tribal leaders. Dating from about c.1,600 years ago, excavations here show the inhabitants had a diet of cattle, sheep, pigs, seal, deer, fish and seabirds. 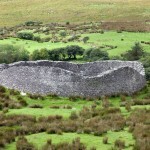 The structure of the fort is similar to Staigue Fort, also in County Kerry. Having been connected to fairy folklore in more than a few stories, Cahergeal Fort has escaped being ‘upgraded’ by land owners throughout the years as there is a cautionary tale echoed in Ireland: even if you don’t believe in fairies, you shouldn’t interfere with their property. Burke’s Activity Centre would like to welcome you to an experience which will never be forgotten. 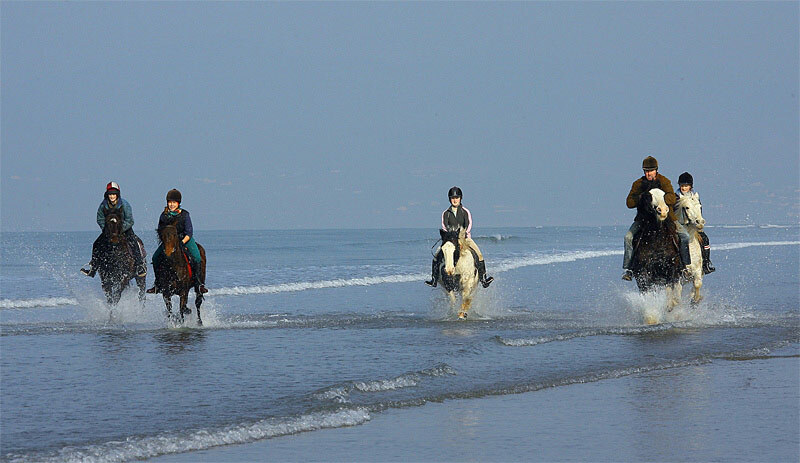 Offering Horse Riding in Glenbeigh Co. Kerry, Ireland – located on the world-renowned Ring of Kerry, Trail Riding in Kerry – Galloping along Rossbeigh Beach and Trekking along miles of country road – spectacular scenery that will take your breath away. 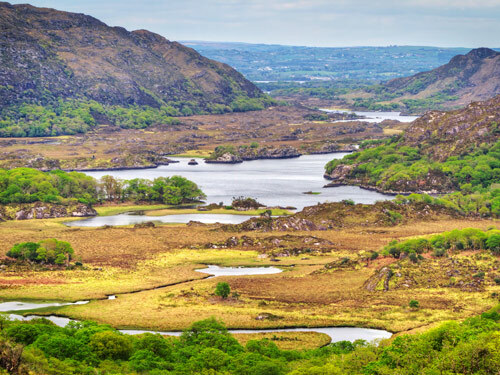 The world famous Ring of Kerry has an established a reputation in recent years as “a trekker’s paradise” and you will see why when you’re enjoying a horse ride with Burke’s. Twenty minutes from Killarney town, Burke’s are situated on the verge of Rossbeigh Beach which is seven miles long. 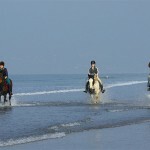 Galloping on Rossbeigh Beach close to the water’s edge is an experience riders of all levels will never forget. Great for young and old, experienced or beginner. Farm rides for kids over the age of two. To avoid disappointment please call 48 hours prior to arrival. Unfortunately, we cannot accommodate horse riding for children under 8 years old.